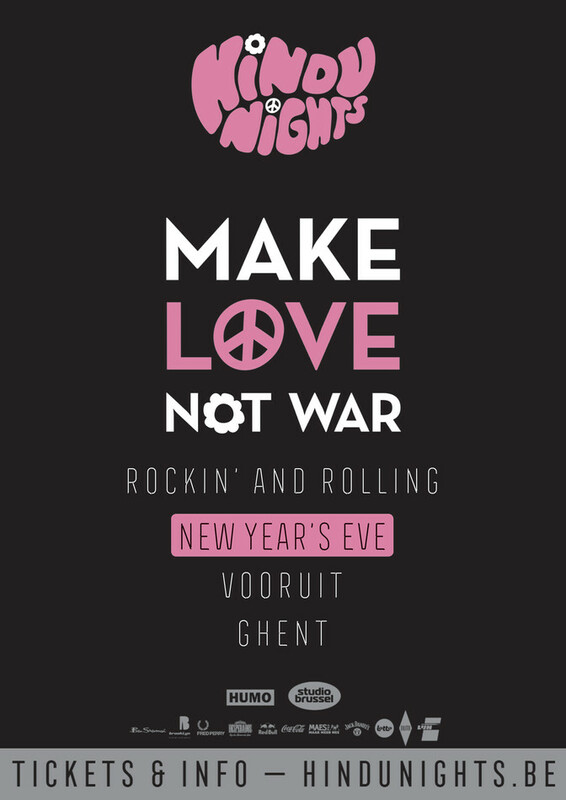 HiNDU NiGHTS is one of the rare rock ‘n’ roll nights in Belgian club-land and has been SOLD OUT every single time since the start in 2006. HiNDU NiGHTS is a celebration of life, love and happiness with only the best rock ’n roll tunes from the Swinging Sixties up to this day! In good tradition, HiNDU NiGHTS is going to be rocking and rolling into the new year and they will do so with Live Music & DJ sets by Hindu Radio Dj’s, Olly Soul Train (Camden, London), Dilly Boys (Date with the Night), Way (Antwerp), Twisted Melon, Eton Rifles and many more. In addition they will provide magicians, clowns, dwarfs and monkeys as well as other special NYE treats!